The press conference follows yesterday’s approval of the merger by the shareholders of both airlines (see online news November 29). On January 24 shares in the new International Airlines Group (IAG, the holding company for the merged carriers) will begin trading. The merged entity will become the third largest airline group in Europe, and the sixth largest in the world by revenue. The two carriers will serve a total of 204 destinations worldwide, operating 406 aircraft. 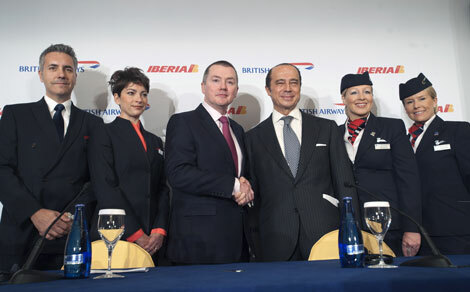 Willie Walsh will become CEO of IAG, while Antonio Vazquez will assume the position of chairman.